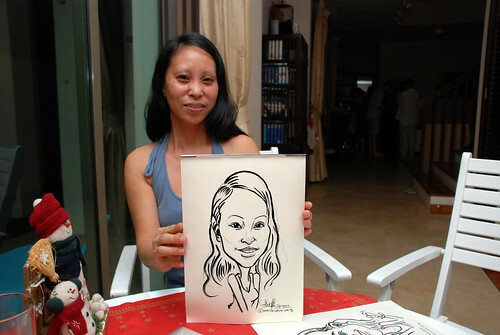 A 2 hours gig (started early at 6:20pm), extended for another 20 mins due to popular demand, at Bukit Timah area. 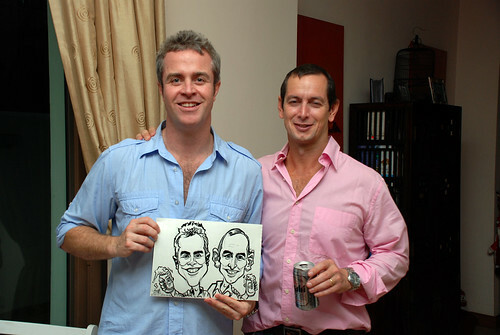 My client on the left. 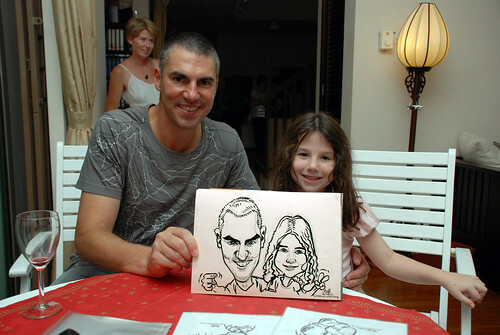 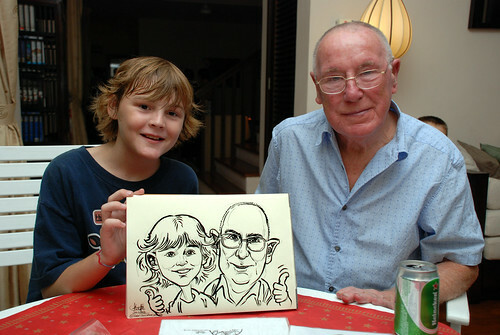 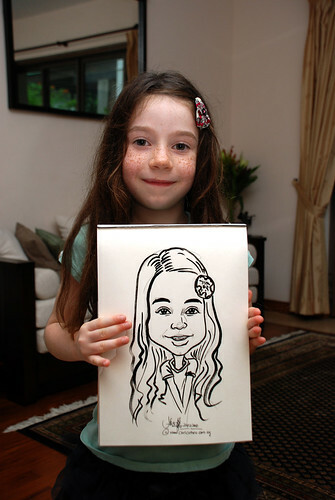 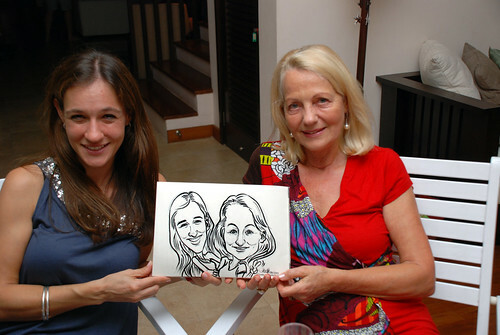 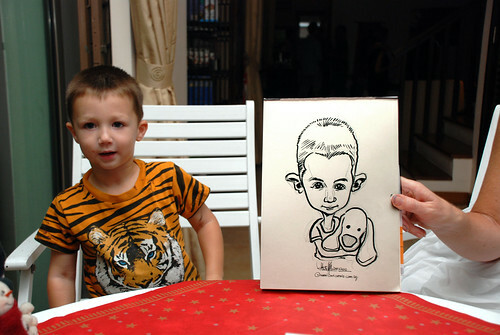 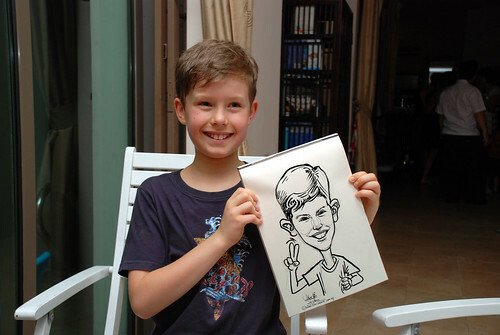 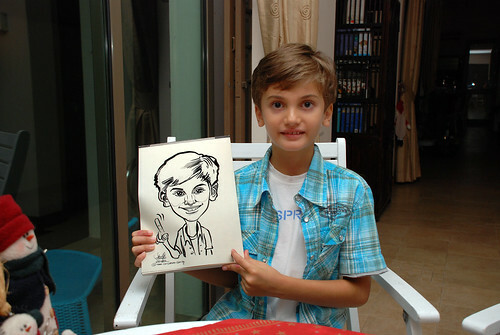 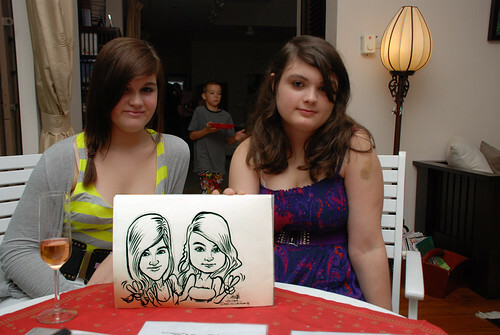 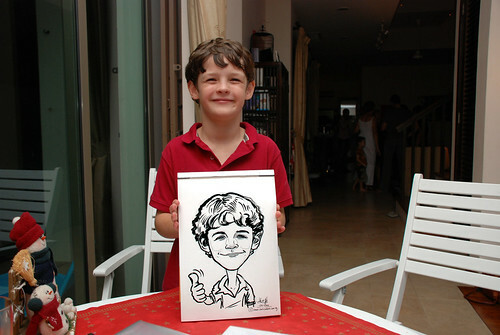 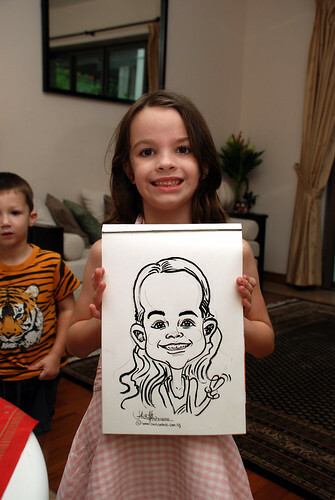 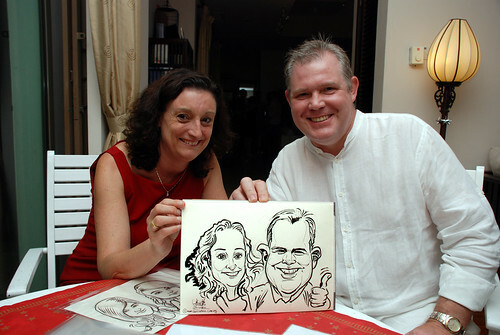 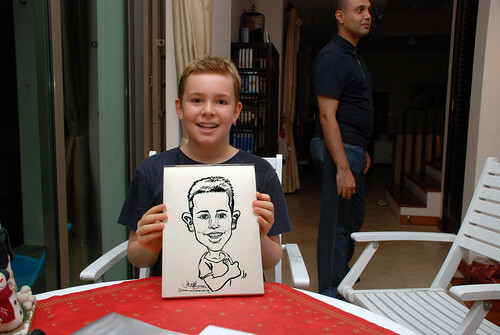 He ordered a caricature from me recently, and decided to engage my service to sketch for his guests during his own Christmas Party at his house.